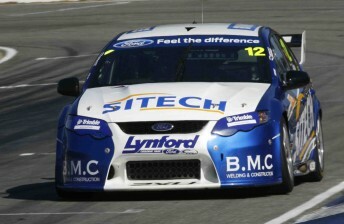 Dean Fiore currently sits 24th in the V8 Supercars Championship. It’s nothing to write home about, but the West Australian is not hanging his head low. The team owner/driver is looking forward to the future – both short and long-term. Speedcafe.com’s Grant Rowley caught up with Fiore to talk about last week’s test, the V8 Supercars sale and the future of his team. 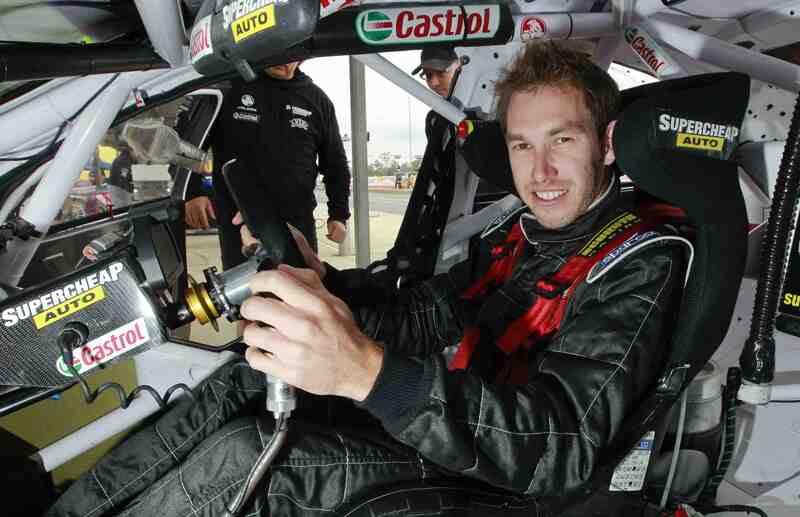 SPEEDCAFE: You tested at Queensland Raceway last week. How did that go? DEAN FIORE: The test was very good. It’s sort of easy to leave QR and be fast, but we were quite fast with a different set-up. We found some stuff that worked, so I hope we can build on that momentum and take that to Darwin. SPEEDCAFE: Your endurance co-driver Michael Patrizi did some laps there too. How did he go? DF: He went well. He did between 40-50 laps and everything was fine for him. We’ve been mates with each other since we were kids, but it is always good to spend some extra time with your co-driver. He’s getting comfortable in the car. We drove together last year, but it’s good to have that continuity from year-to-year. DF: That’s for sure. I’m really looking forward to going to Darwin, because the last two events have been shockers. Perth and Winton were terrible, and we’re not happy with that, so we’re all digging deep to make amends. Two rounds ago, we were 17th, and we were content. We were even talking of popping our heads into the top 15, but the two shockers hasn’t done us any good. 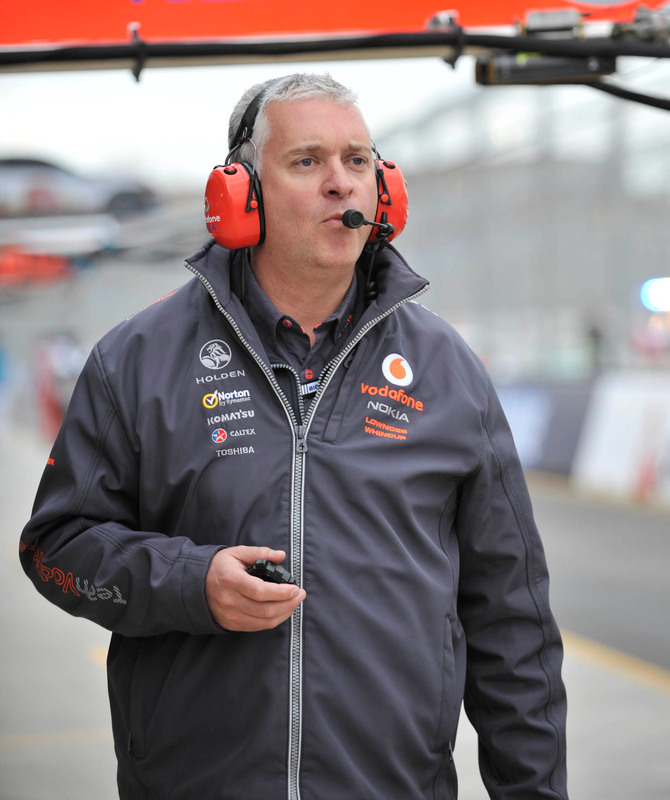 SPEEDCAFE: So what changes do you make to move forward? DF: Look, we’re restricted a little bit in terms of what we do. We’re not a Triple Eight or an FPR or a HRT where we can simply go make some ‘go fast’ bits. We’ve just got to make sure that everything that we do is 100 percent right. Because the series is so competitive, the little tiny things are the things that count. You need to get everything right – from the pit stops to the strategy, my driving – the whole operation needs to be spot on, even just to get a decent result. I’m not even talking top six or seven! We’re just focusing on that and just trying to do all of the basics right. 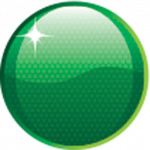 SPEEDCAFE: V8 Supercars has recently undergone massive changes behind the scenes with the sale of a majority share to Archer Capital. You are a REC (Racing Entitlements Contract) owner. Are you committed to keeping your stake in the sport? DF: Yeah, definitely committed. We’re committed to staying in the championship. The sale is a big help for us. Obviously, we’ve been struggling on the commercial side, and that is mainly due to results. I’m under no illusions that once I start getting results, the commercial stuff becomes a bit easier. We’ve been struggling for both of late, so this injection of capital is a big bonus for us, but it’s not like a small one car team like us can run debt free. This cash will help a lot balancing things up, so now we’re just looking at the best way to use the dough going forward. That sort of thing doesn’t happen every day. It’s all positive news. SPEEDCAFE: Will you persist with your one-car team, or will you look at other ways of running your entry? DF: We’ve got to have a look at that. We’ll definitely see out the year in our current structure, but we’re going through all of that now. We definitely need to look at all that going into next year and beyond. It’s definitely a massive talking point for us now and I think it will be resolved in the next couple of months. DF: At this stage, it’s all a talking point. We’ve also got to think about 2013. We’ll be jigging our decision around how we see the landscape in 2013 and beyond. It’s a very important stage in Triple F’s involvement in V8 Supercars. We’ve got to make sure we make the right decision, that’s for sure. SPEEDCAFE: Have you enjoyed running your own car, having your own team etc? DF: Yeah, it has been great. I’ve been spending a bit more time up on the Gold Coast with them, and it has been hard to do it from Perth, but I’ve been noticing a fair difference when I spend some time in the workshop. Getting right down on the shop floor has been a good exercise for me to do.